My sister finally sent me one of my cosmetic packages two weeks ago, and inside was the Sephora + Pantone Universe Color of the Year Collector's Edition set (including some of my purchases over the last few months). Color description from left to right: Scallop Shell, Carnelian, Sparrow, Pavement. Scallop Shell: A pale pink satin. Carnelian: A soft orange-coral with tiny gold shimmers. Sparrow: A dirty browned purple matte. Pavement: A black satin with silver sparkles. The Color of the Year Eyeshadow Quad was a total bust for me! The texture was okay; a little powdery and a little chalky. The pigmentation was poor...and by poor, I mean extremely sheer. Yes, you can build up the color, and by build, I mean you really, really, REALLY have to pack it on to get any form of color payoff. The eyeshadow quad was one of the items I was really looking forward to and, I must say, I was terribly disappointed. From left to right: Desert Flower, Coral, Apricot Brandy. Desert Rose: Is the soft matte mamey pink. Coral: A shimmery, deeper mamey with gold flecks. Apricot Brandy: A coral/apricot with chucks of gold glitter. I'm a huge lover of blush, so I was really looking forward to trying these blushers out. Out of the two, the blush duo was my favorite. 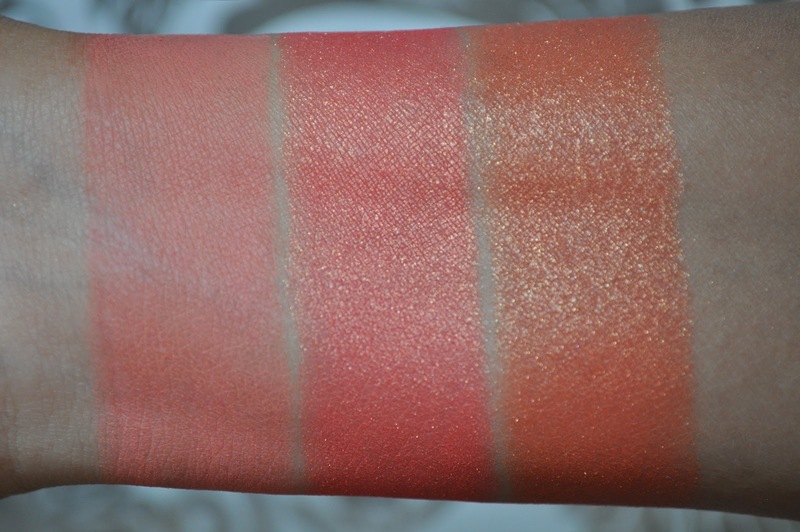 The two blushes are creamy in texture, pigmented and luminous. The Prisma Chrome Blush, on the other hand, lacks pigmentation and is pure sparkles...not a fan of this product! From left to right: Tangerine Tango Twist, Tangerine Tango Cream. 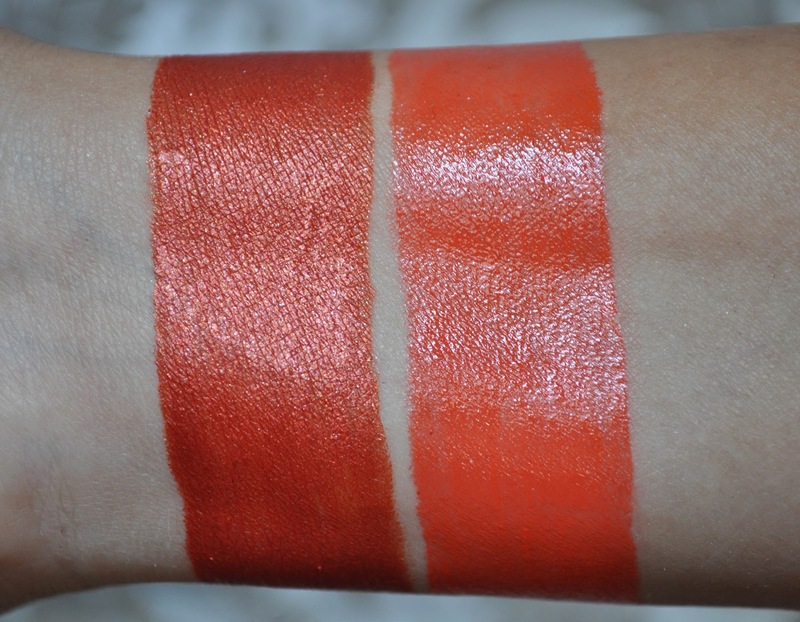 Tangerine Tango Twist: A beautiful shimmery blood orange with pink and gold flecks. Tangerine Tango Cream: A glossy semi-translucent bright tangerine orange. Tangerine Tango Twist was a happy surprise. This eyeliner is very soft, creamy, glides on smoothly, smudge-proof, and last all day! 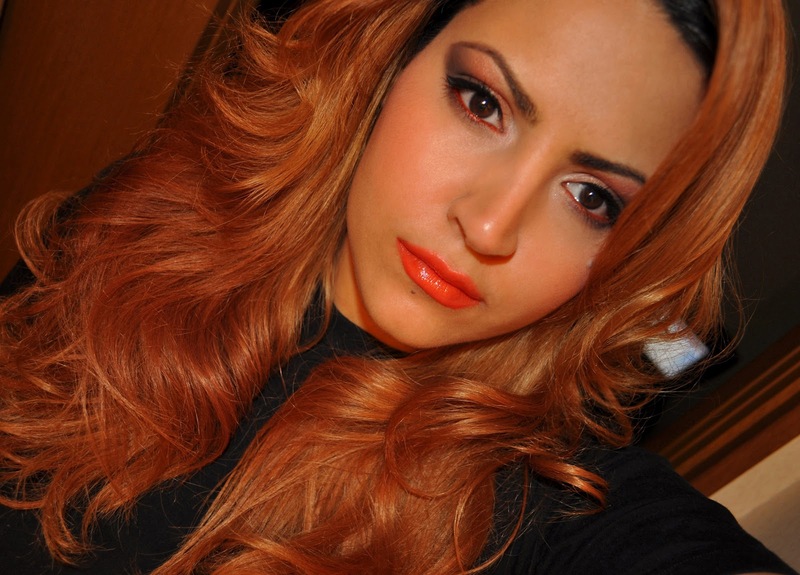 Tangerine Tango Cream is an intense creamy, rich, moisturizing lipstick. Regrettably, this lipstick was a miss for me. I found that it slipped all over my lips throughout the day, sliding off my lipline, and leaving me with glossy bald spots. From left to right: Tangerine Tango Vivid, Tangerine Tango Glaze, Tangerine Tango Opal, Tangerine Tango Luminous. Tangerine Tango Vivid: A opaque creamy neon safety vest orange. Tangerine Tango Glaze: A translucent tangerine with shimmers. 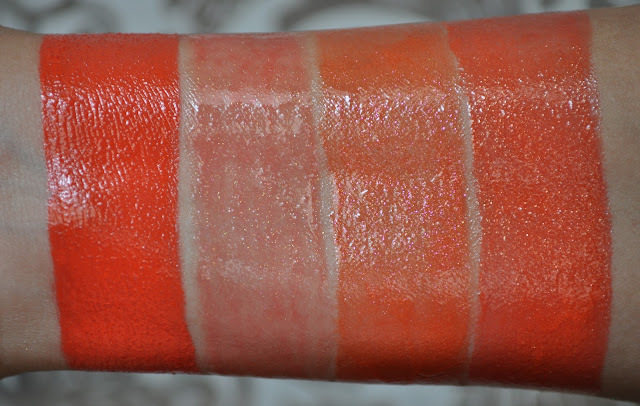 Tangerine Tango Opal: A semi-sheer tangerine with pink and gold shimmers. Tangerine Tango Luminous: A deeper tone semi-sheer tangerine with gold shimmers. I really enjoyed these lip glosses! All four colors are vivid and pigmented (even the sheerest formula). Also, they are non-sticky, and comfortable on the lips. I love the color variation of these lip glosses. Color of the Year Blush Duo ( Desert Flower on the cheeks with Coral on top). Scallop Shell (highlight the inner corner and brow bone). Carnelian (in an angle, on the inner 1/2 of the the lid and crease). Color of the Year Prisma Chrome Blush in Apricot Brandy (placed over carnelian to intensify the color). Sparrow (in an angle, on the outer 1/2 of the lid, crease and lower lash line). Pavement (applied lightly in the outer corner). Color of the Year Eyeliner in Tangerine Tango Twist (on the waterline). Sephora Full Action Extreme Effect Mascara. Color of the Year Lipstick in Tangerine Tango Cream. Color of the Year Lip Gloss in Tangerine Tango Vivid. I paid $68.00 for this set, and I have to say that the products did not live up to their price point nor my expectations. 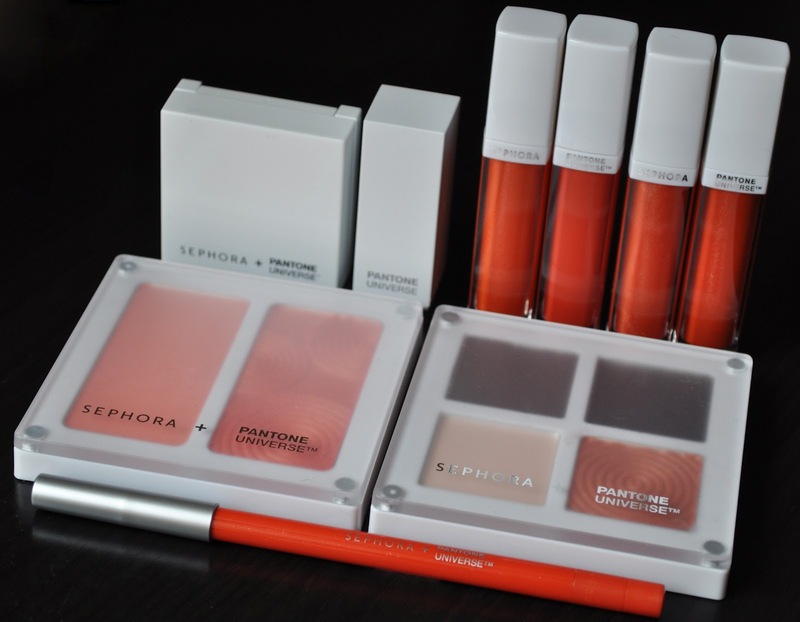 For me the star pieces in this set would have to be the blush duo, the eyeliner, and the lip glosses. 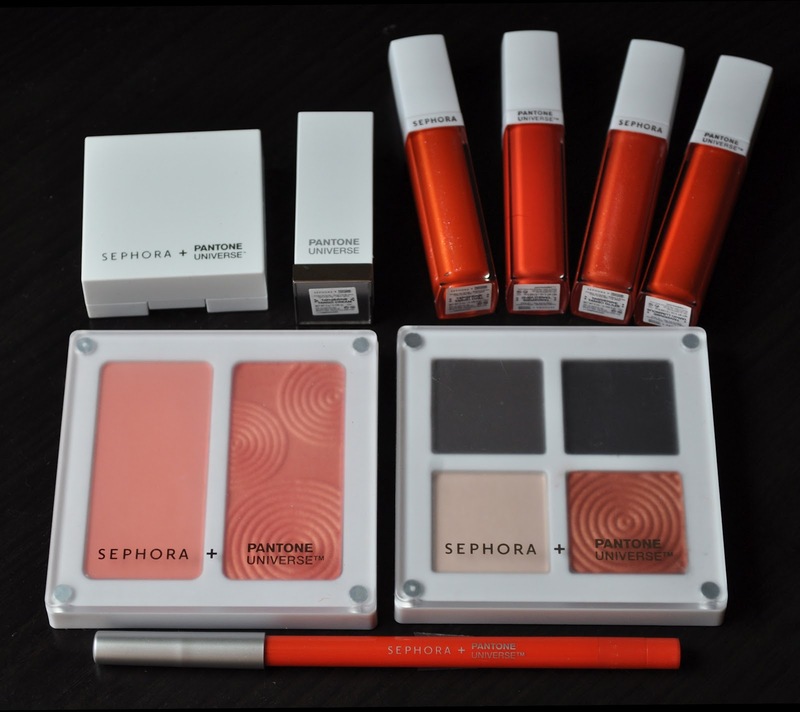 Have you tired anything from the Sephora + Pantone Universe Collection? I wasn't all too impressed with the others from the line except the lipstick. In my case the color is too bold for me so I don't apply too much. Maybe that is why I don't get the slip that you experience. Yeah, probably, but I do love the color and how it feels on my lips...I'll have to make it work! P.S dont forget to check out my 50 follower giveaway! You look soooo gorgeous! 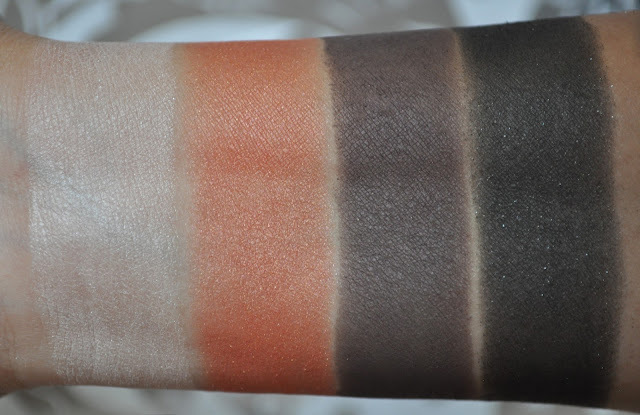 Amazing swatches, too! WOW!! You are gorgeous! I have the full Color of the Year set and I love it. :) I am not quite sure what I think of the quad though... may be selling it off soon. I'm not sure if I'll be giving the quad away, since I don't want to offend any of my friends...may just toss it.